Was it Mark Twain who said that a classic is a book that everyone wants to have read but nobody wants to actually read? Yup. Thanks for summarizing this book that I want to have read but am so totally not gonna read until my kids are older. Great post. I buy it all and would say my general parenting objective is to be and stay attached to my kids in a way that my parents weren't able to with all their children. Generally I'd say I'm succeeding though I find when one reads too many parenting books it can seem like you can't possibly be doing enough to actively parent your kids. Great post! Love the idea of seeking out FUN interaction with your children- I sometimes get so caught up in the work of parenting that I forget about those moments- thanks for making me notice and make the most of every single one today. great stuff!! Thank you for visiting and commenting on my blog so I could discover yours! Something my mom did for me that I love doing with my kids as a way to create that spontaneous moment of connection is she'd ask "Did you get your vitamin K today? I don't think so. Come over here and get your vitamins and minerals." Vitamin K was her code for kisses (and hugs). It was funny her playing on the whole "you have to take your vitamins every day to be healthy" thing that you learn as part of nutrition and she's put that extra spin on it for this spiritual/emotional nutrition that should never be lacking each day. She left me with a ton of great gifts and this is one of my favorites. (another is being sung "you are my sunshine" melts my heart). Betsy: Yes, Mark Twain had it right! 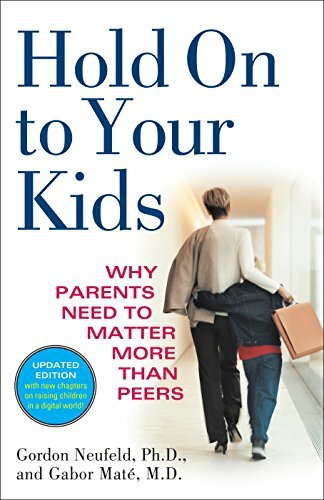 "I find when one reads too many parenting books it can seem like you can't possibly be doing enough to actively parent your kids." I have had this experience so many times, so thanks for the reminder (here and on other posts) to chill and not be so hard on ourselves. Jamie: Yes, I get so goal-oriented (time to bathe, time to eat, etc.) that it's often hard for me to stop and realize what fun and connection can be had in the in-between moments. My son's teaching me, though! geeksinrome: Vitamin K — I love it! It's so fun when there are specific love memories like that, little things that just make you smile to think back on. My mom used to write silly notes on my napkins for my lunchbox. I want to find little things like that to make some new fun traditions. Thanks! Do you have any book recommendations for finding inner peace or becoming gentler with yourself and/or spouse? I strive to be a gentle mother (my daughter is 7 months so I’m trying to “fix” myself before we get to the discipline stage) but with the way I was raised and things instilled in me I find that I can fly off the handle rather easily and I want to find ways to step back before I blow and to have a longer fuse. I find that I blow up on my husband (usually after he's approached me with the wrong attitude, but, still not an excuse) often and I'm hoping to learn to be more gentle all around. Thanks! I know people recommend Nonviolent Communication as well, and here is a list of some of their books. I haven't read much there yet. I thought How to Talk so Kids Will Listen...And Listen So Kids Will Talk was also one that is geared toward talking with kids but equally applies to talking with other adults. I'm not sure if that's absolutely on topic for you, but it helped me reevaluate the language I use when I feel tension. I'll see if anyone else has any good suggestions. It's something I'm trying to work on as well, for sure.